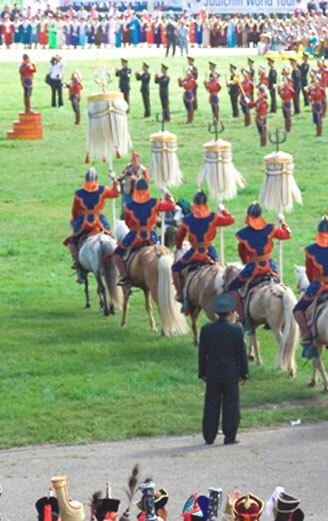 Attend the opening ceremony of the Naadam Festival at the Central Stadium in Ulaanbaatar. Enjoy competitions of the three manly sports, archery, wrestling and horse racing, along with Mongolian cultural performances. Afternoon tour: Watch the horse races taking place outside the city center. Naadam Gala dinner and a folk concert in the evening. Visit the Bogd Khan Winter Palace Museum, the home of the last Khan of Mongolia, who ruled the country until 1924. Afternoon tour: drive to Mt.Bogd National Park to visit the 18th century Manzshir Monastery. Visit local nomads en route. Overnight in comfortable traditional ger dwellings at the Ger camp. 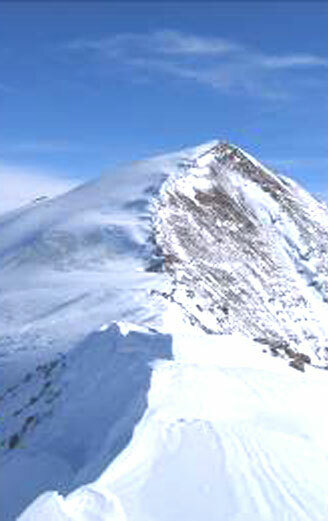 Transfer to Karakorum (380km). Lunch on the way. Arrive in Karakorum late afternoon and have refreshments. Dinner and overnight in camp. Visit the symbolic ruins of Karakorum, the 13th century imperial capital of the Mongol Empire and the Erdene-Zuu Monastery, once one of the largest monasteries in Mongolia, which was almost destroyed in the communist purges of the 1930s. Tour of the monastery grounds and several chapels with excellent examples of Buddhist iconography dating from the 16th century. Lunch at the camp. Visit a family of nomads. Overnight in the camp. Drive to Bayangobi. Lunch in the Ger camp. Visit a horse-breeder's family to see the making of the traditional Mongolian drink, airag (fermented mare's milk). Horseback riding on Mongolian-style wooden saddles. Overnight in traditional ger dwellings at the Bayangobi camp. Drive back to Ulaanbaatar. On the way visit Hustain Nuruu (Pike Hustai) National Reserve to see the Przewalski wild horses, recently re-introduced back into Mongolia. 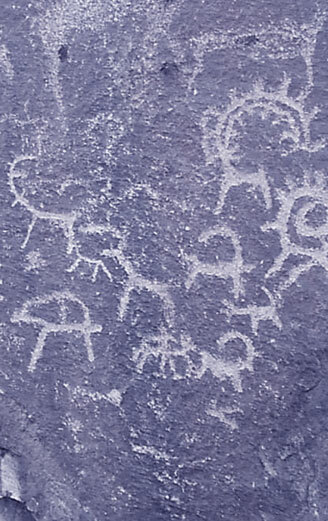 Visit the park museum to learn about the history of the last pure wild horses in the world and the history of the area. Lunch. Arrive in Ulaanbaatar late afternoon. Dinner and a cultural performance. Overnight in three or four star hotel. Breakfast at the hotel. Tour to the Choijin Lama Temple Museum, which is one of the only monasteries in the country that was not damaged by communists. It was built for the brother of the Eighth Bogd Gegeen, Mongolia's last Khan, and contains intact Buddhist religious items and artworks. It is an exact representation of a functioning monastery. In the afternoon, leisure time for individual plans and shopping. Dinner and overnight at the hotel. After an early breakfast transfer to the airport for a flight to the Gobi base camp. Visit Yol Valley National Park (50km) for trekking and an opportunity to photograph the stunning landscape, the Gobi Glacier and the wildlife of the area. Picnic lunch in the National Park, and leisure hiking. En route back to base camp, visit a camel breeder's family for photo opportunities, an optional camel-riding session and to experience the nomadic lifestyle. Enjoy a relaxing evening under the Gobi Desert skies. Overnight in a comfortable traditional Mongolian ger.